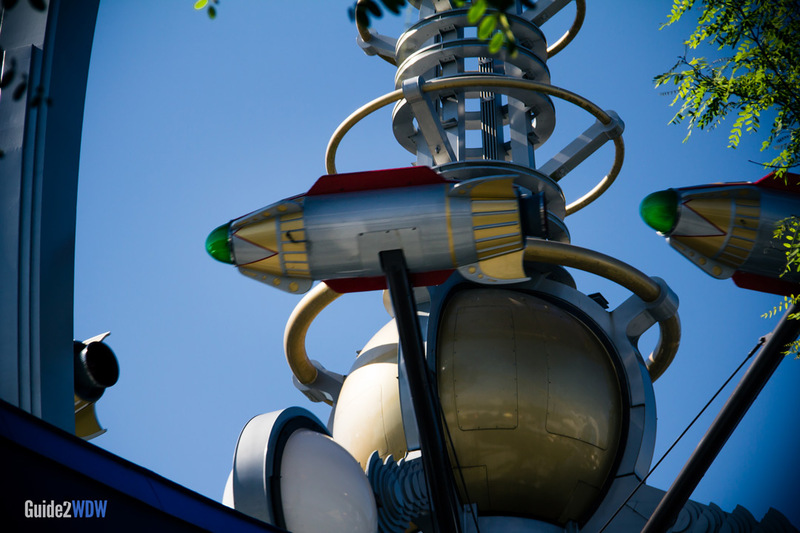 Rocket into the skies of Tomorrowland on this ride for the whole family. 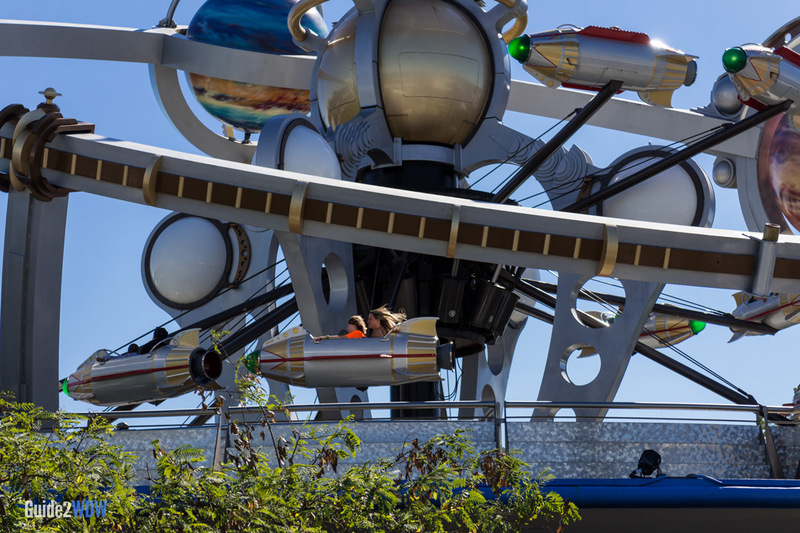 This rocket-spinning ride takes passengers up in the air over Tomorrowland. This ride is a sci-fi take on the popular Dumbo ride in Fantasyland, but the key difference is that Astro Orbiter takes you much higher in the air. Passengers actually have to get into an elevator to board their rocket ship. Rockets go around in a circle, with passengers controlling the height of their ship. Guests who have a fear of heights should skip this ride. 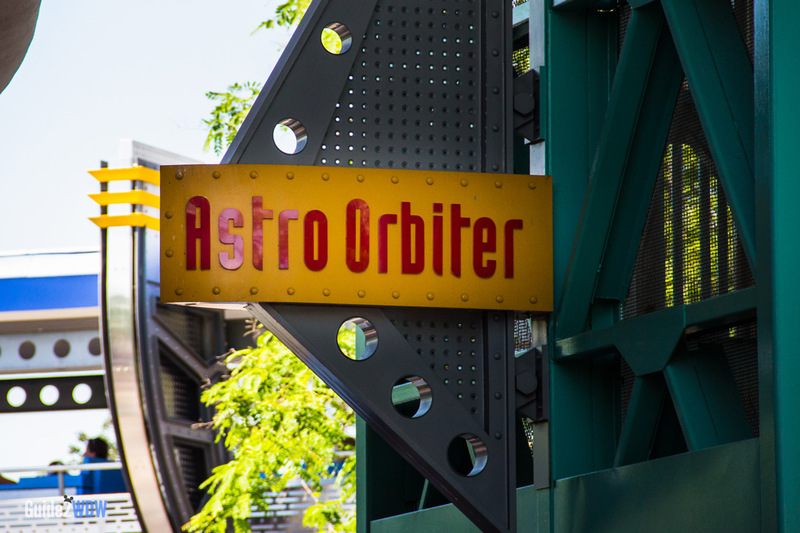 The Astro Orbiter originally opened as “Star Jets” in 1974. The Star Jets name lives on today at Tokyo Disneyland. Like Dumbo and The Magic Carpets of Aladdin, this is a great attraction for young kids. Rockets hold two passengers at a time. At 11 rotations a minute, the ride averages 1.2 million miles per year. The entrance is at the bottom of Rocket Plaza Tower, near the PeopleMover. This ride is similar to Dumbo, but has a bigger thrill factor due to being so much higher from the ground.